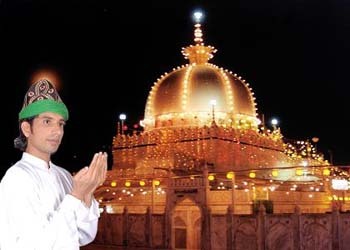 Timings to Visit Shrine in Ajmer Shariff Dargah, Ajmer Shariff Shrine Darshan opened time & Closing time In the early morning at 4:30 A.M. i.e. 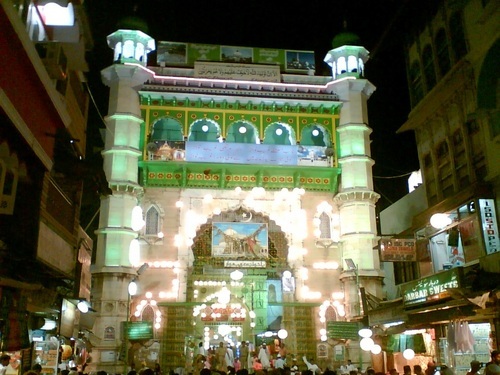 before Namaz-e-Fajar the gate of holy Astana is gets opened Ajmer Sharif Dargah live Darshan timings Ziyarat Ajmer Sharif Darbar, gets opened. Function of doing Ziarat, offering flowers and chadar by Devotees and Zaireens on Mazar Sharif of Hazrat Khwaza Gharib Nawaz, Hazrat Khawaja Moinuddin Chisti continue through out the day. Ajmeer Sharif Dargah Mannat wish of Darbar Khwaja Garib Nawaz Mazar Mannat wish, Function of removing & cleaning of flowers offered during the day is called Khidmat (Service) of Ajmer Sharif Mazar this is done during day time between 3 to 4 O’clock. The gate of Holy Mazar-e-Akdas is gets closed Ajmer Sharif Dargah Darshan timings Ziarat Ajmer Sharif ShrineKhwaja Moinuddin Chisti DARBAR CLOSING TIME 9 P.M. gets closed. At present the nearest airport is the Kishangarh Ajmer International Airport, about 15 KM away and also near to Jaipur International Airport, about 132 km away, with flights connecting several major cities in India. Various Bus & Car Services are available including the Government services providing safe transportation. 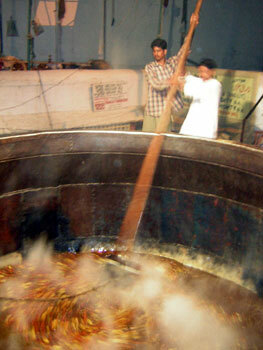 Indian Railway is commited to serve the devotees who comes for the blessing of khwaja. 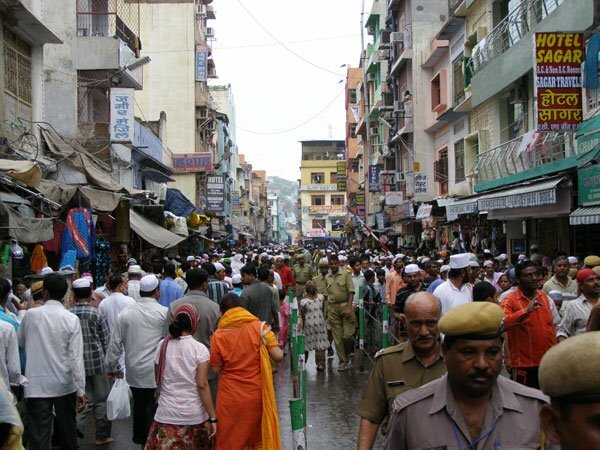 Ajmer is one of the major Junction in India. 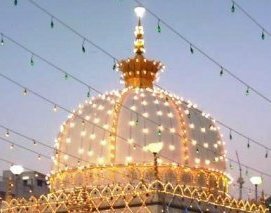 The people of the Indian subcontinent had a first glimpse of the eternal spiritual love in the form of the widely revered Sufi Saint, Hazrat Khwaja Moinuddin Hasan Chisti (R.A.) This website is dedicated to him. 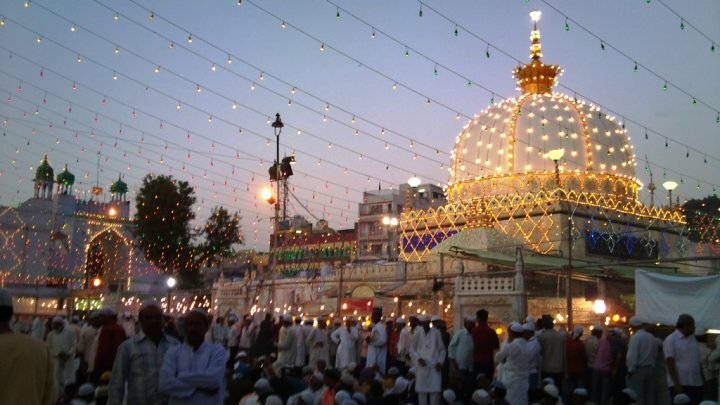 Affectionately called as 'Khwaja Garib Nawaz', Hazrat Khwaja Moinuddin Hasan Chishti (R.A.) has been the epitome of truth, love and devotion to millions of his followers across the world. His shrine is a congregation of all faiths. People from all walks of life, all religions, every caste and creed find equal solace and fulfilment of their inner desires at this Holy Shrine. And when true love is evident, the prayers get answered even before they are made. Such is the power of love and devotion. 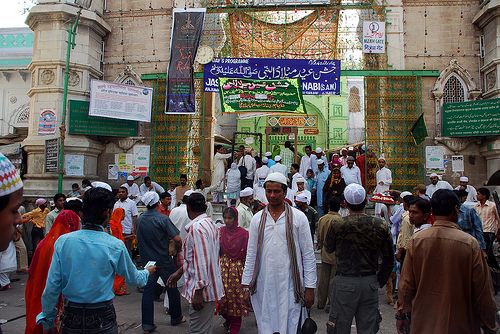 Continuing the legacy of Holy Hazrat Khwaja Moinuddin Chishti today are his descendants. One such guiding light is Gaddi Nasheen Syed Samir Chishti (Shah). Peer Baba's direct paternal ancestor, Hazrat Khwaja Fakhruddin Gurdezi (RH) was the paternal cousin of Khwaja Gareeb Nawaz (RA) and also his spiritual brother. His closeness to Khwaja was such that even his shrine is on the right-hand side of the holy shrine of Khwaja Gareeb Nawaz. This privileged legacy is evident in Peer Baba's love for Khwaja and devotion to his principles. Peer Baba's selfless love and ageless wisdom have the power to take you on a unique spiritual path that very few in today's world believe even exists. And all that he asks for in return is your love for Khwaja without whom this journey would never be possible. Syed Sameer Chishty (Shah). 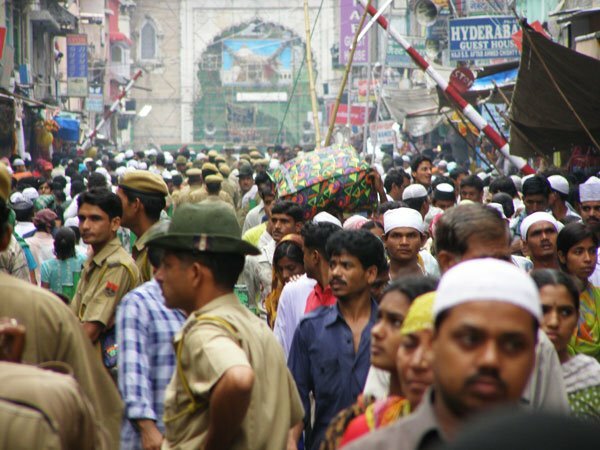 has always professed the unity of all faiths in this culturally rich and diverse land of India. He has always endeavoured to bring together people with the message of love and devotion in the eternal pursuit of truth. This website is a gesture of the gratefulness of some very blessed and fortunate followers of Sufi Peer Baba who thank Allah, his Prophet and Holy Khawaja Ghareeb Nawaz to have given them this destiny. So, brothers and sisters, we invite you to come and witness this ultimate experience of human existence that will redefine your relationship with Allah, his prophet and his saints. In the process, you will not only witness an end to all your sufferings or enjoy the fulfilment of your desires but above all end-up with a heart that is content with peace and filled with the love for Allah, his Prophet and Holy Khawaja Ghareeb Nawaz. We have Blood Relation with Khwaja Gharib Nawaz (R.A) belonging to the Syed Chishty Family of The Holy shrine Dargah Khwaja Moinuddin Chishti who is popularly known as Khwaja Gharib Nawaz & i personally invite everyone (irrespective of any Religion they belong) to attend the Holy Functions & Works like Offerings (Nazar-o-Niaz) Flowers, Chadars,Langar (cooking Degs) etc related to Dargah Sharif. By Allah & His Rasool(S.A.W) grace & by Gharib Nawaz blessings, all ur desires & wishes would be fulfilled INSHA ALLAH. If you are one such seeker, please feel free to Visit Syed Sameer Chishty Shah at Dargah Sharif, Ajmer. You will find his Gaddi in front of Dalan Arcot Paitee Darwaza of the Holy Dargah Ajmer Sharif India. 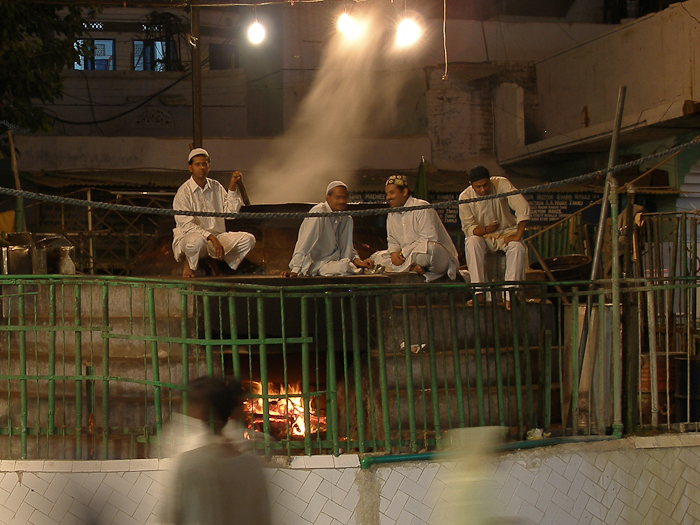 The shrine had become one of the most important centers for the diffusion of composite culture that had struck deep roots in the psyche of both the Hindus and Muslim. 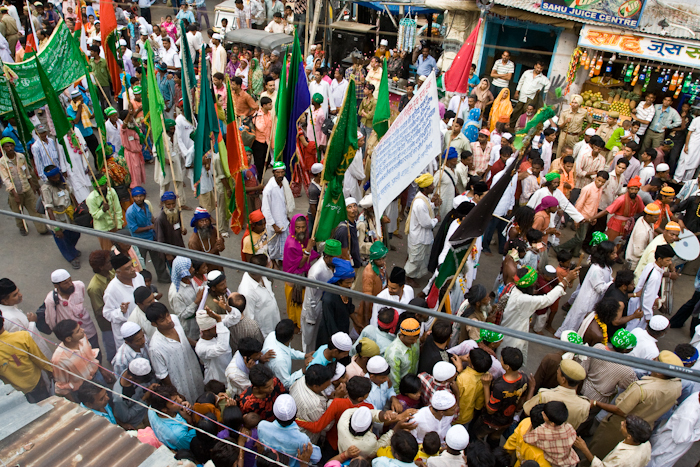 Thus the result of the long association of the Hindus with the shrine can be assessed from the customs at the Dargah by the Muslims and Hindus alike. 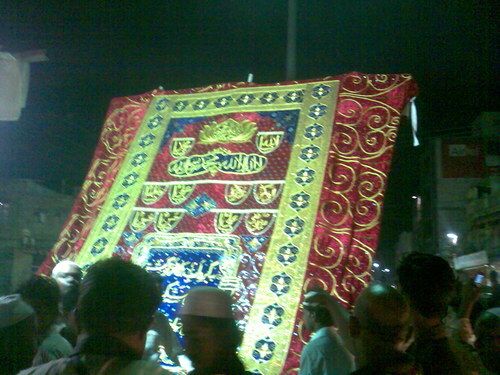 For example putting Lachcha (red and yellow threads) around the neck or hand of the devotees, pasting of sandal at mazar and tying of threads at shrine as a mark of vows (mannat), cracking of coconuts at the door steps of Dargah, and the lighting ceremony at dust etc are symbolic of the emerging of composite culture. The word NAZR is an Arabic word which means "an offering," in its verbal form it will mean "to offer" or "to make a spiritual vow." Note that NAZR is used in Arabic in a totally different meaning also - "to warn," that is not in this context. Therefore, we leave that for the time. The Glorious Qur'an has used the word "NAZR" in both meanings. We will only discuss here the first usage, i.e., which is relevant to our discussion here. 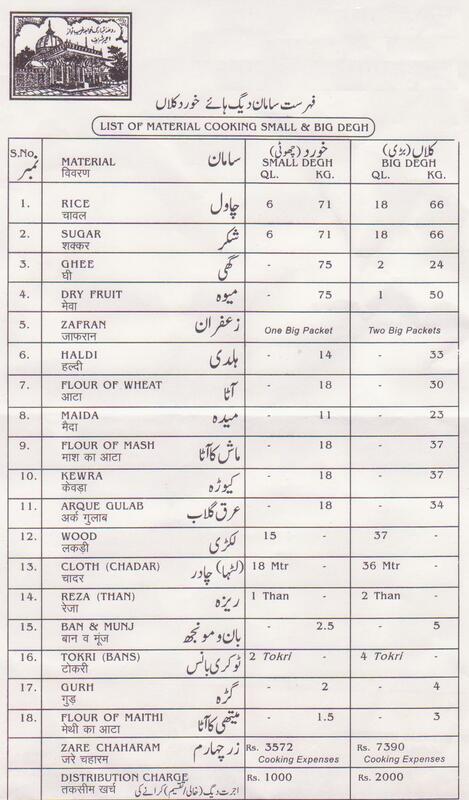 Sometimes the word NIAZ is also used in this context. This is a word from Farsi which means "need," and it is its metaphorical use in the sense of an offering. The basic concept of NAZR is to offer something less valuable in the hope and expectation of receiving something of higher value. The "value" does not have to be material; it could just be honor and dignity. The examples below will explain this notion further. 3. In 19:26 the Glorious Qur'an tells the story when Prophet Jesus is born without a father and the Jews are asking of Maryam about such an implausible situation. So eat and drink and refresh the eye. Then if you see any mortal, say: Surely I have vowed a fast to the Beneficent God (inni nazartu lir-Rahmaani sawman). So I shall not speak to any man today. 4. In the first twelve verses of Sura Dahr (chapter 76) the Glorious Qur'an tells the story of NAZR by the Ahlul Bayt (may our salams and Allah's peace be unto them). The Glorious Qur'an describes the beginning of man and the attributes of a grateful man in this chapter. One of the many attributes of a grateful and faithful person is described in verses 7 and 8: "Because they perform the vow (yufoona bin-nazri) and fear a day whereof the evil is wide-spreading, And feed with food the needy wretch, the orphan and the prisoner, for love of Him." The Hadeeth literature indicates that the Ahlul Bayt (A.S) showed the importance of Nazr by their acts more than once. The following story is recorded in many tafseer books about the revelation of these verses of sura Dahr. 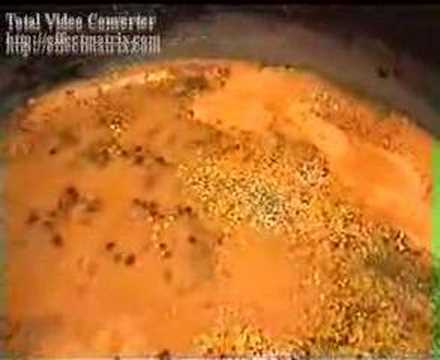 Once the Imam Hasan and Imam Hussain, who were at that time 5 and 4 years old, fell ill. When the Prophet of Islam, missed them in the mosque, he came to Hazrat Fatima Zahra's house to inquire about them. 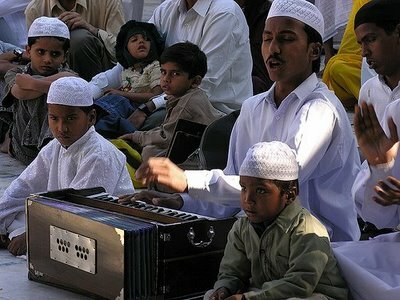 When he was told that they were sick, he suggested that both parents should take a spiritual vow (Nazr) for the children's recovery. So both Imam Ali and Fatima Zahra prayed to Allah for the recovery of Hasan and Husayn (peace be unto them all) and took a vow to fast for three consecutive days when the children became well again. The children did recover from the illness soon after. Both parents set about fulfilling their spiritual vow and fasted. When the children saw that, they also decided to fast with their parents and so did the house-maid, Fiddha. But that day there was no food in Fatima's house even for breaking the fast. So Imam Ali went out looking for work. He could not find any. But he was able to get three kg's of wool to be spun in exchange of three kg's of barley. Fatima Zahra spun the wool all day. She was only able to dispense with one kilo of it. So she took only one kilo of barley ground it into flour and prepared five loaves of bread. While they were all ready to break their fast, someone knocked at the door saying: "O people of the house of the Prophet, I am a poor man and I have nothing to eat, is there anything you could do to feed me." At this Imam Ali stood up, went to the door and gave his loaf to the man. Fatima Zahra did the same. Watching this, both children also gave their loaves and so did the maid. They broke their fast by water and retired. 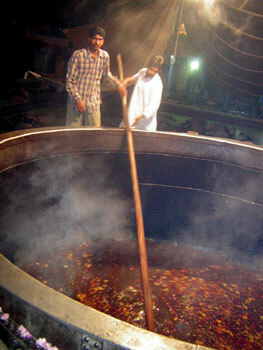 The next day Fatima Zahra spun another kilo of wool. So she separated one kilo of barley, ground it into flour and prepared five loaves once again. As they were ready to break their fast, once again, a voice called out from the door: "O people of the house of The Prophet, I am an orphan, I am hungry, could you feed me?" Hearing this, Imam Ali stood up and gave his loaf to the man, so did Fatima Zahra, the children and the maid. They all, once again, broke their fast by water and retired. Came the third day, Fatima Zahra spun the rest of the wool, took the remaining barley, ground it into flour and prepared five loaves. As they were ready to break the fast, a voice called from the door saying: "O people of the house of the Prophet, I am a prisoner, I am hungry, could you feed me?" Hearing this, once again, Imam Ali stood up and went to the door and gave his loaf away to the prisoner. Fatima Zahra, the children and the maid did likewise. Every time the person at the door would want to express his gratitude for the kindness, Imam Ali would say: "No, no, we are not looking for any reward from you for this act, we are doing it out of Allah's love." Firstly a Devotee makes a vow and when his vow (Mannat) is fulfilled he makes the offerings Nazr-O-Niyaz. The offerings is this that the devotee has not made any vow, but when he visits at Dargah for Ziarat (Pilgrimage) he out of devotion presents certain money at the Holy Dargah of the Khwaja Sahib with the intention that whatever he is presenting, he is presenting as an offering to that Saint with clear implication that the same will be used by those who are entitled to receive it. At Ajmer the devotees pay offerings to a Khadim whom they take as their well wisher ( vaqil) or spiritual preceptor (Moallim). Devotees of Khwaja Sahib can makes a vow (Mannat) that he will perform the Ziarat (Pilgrimage) of Dargah of Hazrat Khwaja Moinuddin Chishty Ajmeri . If a person makes a vow Mannat that he would send some amount of money on the Dargah of Hazrat Khwaja Moinuddin Chishty Ajmer, or the descendants of the Khwaja Sahib, without having any particular project in mind, he should spend it on the repairs, lighting, Langer, Chader, Flowers, well-fair of Dargah etc. of the shrine. 15 minutes Walking Destance from railway station. 36 Minutes by car Kishangarh Airport just 25.6 km from Airport NH448. If you want to visit the holy Darbar of HUZOOR GARIB NAWZ (R.A) and participate in any of this activity contact me I will make free arrangement for your lodging , food and other niceties. 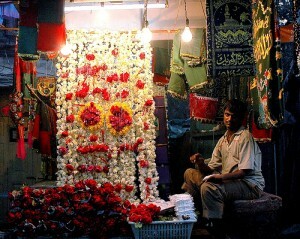 Flowers and chadar are removed from the Mazaar which is then cleansed and fresh flowers and chadar are offered. Once this ceremony is over, khadims standing in between the two enceintes and outside the second enceinte start cleaning the floor with 'Farasha' ( a special dust remover made with peacock feathers).